For stir fry and salads. Sow May-August outside, or under cover from September onwards. Improved Red Knight type. 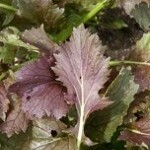 Purplish red serrated leaves add colour to salads. Purplish red leaves contrast against the green undersides. 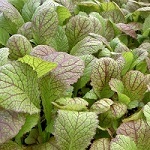 Thick wide leaves and good for adding colour to salads. 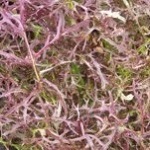 Deep purple red leaves with white ribs. Sow spring to autumn and eat when young in salads. Attractive finely dissected leaf with a hint of 'new potato' followed by sweet mustard flavour. Add to salads. Hardy winter green. Eat raw in salads or lightly cooked. 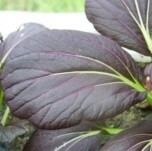 Deep red frond-like leaves to add to salads. 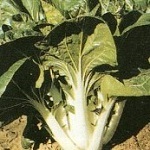 Green stemmed variety for baby leaf or small head. Broad-based pale green stems. White stemmed variety with shiny dark green leaves. Sow until end of October. Good frost resistance and slow bolting. Deep, wine-red, oval leaves and green undersides and stem. 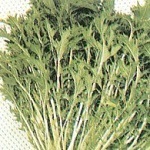 A blend of different colour mustard and mizuna, ideal for picking young for salads and stir fries.